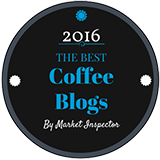 Organic French Roast Coffee from Equal Exchange. A dark, bittersweet coffee. A little while back we reviewed another coffee from Equal Exchange – their Mind, Body & Soul blend. This time, we tried their organic French Roast blend. As with all their coffees, this is both organic and Fair Trade certified. Usually when we taste a coffee we grind the beans fresh. 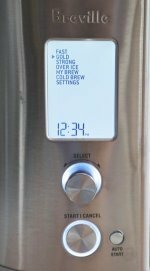 This time, Equal Exchange sent us coffee that was already ground. So we did the next best thing...we opened the vacuum sealed package immediately before brewing. To translate that sentiment, consider this French roast as being the kind of coffee you dream of when you need to wake up in the morning, or stay awake later in the day. It is strong, bold and rich. But it is also more than that. You can make a strong coffee from dark-roasted, poor-quality beans. And you get a harsh, flat and stingingly bitter brew. 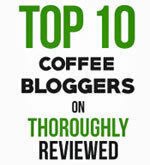 But with this coffee, you get a thick, rich and weighty blend of flavors. The bitterness is bittersweet, like a quality dark chocolate. There is also a touch of nut in there somewhere. Best of all, the bitterness endures. First it fills your mouth –that’s when it cries, “Hello, my name is Coffee!” – then finishes with a dry, prolonged aftertaste. This is a quality roast, with great beans, and gives you a rich, dark flavor, without compromising on the subtle tones that distinguish a quality dark roast. 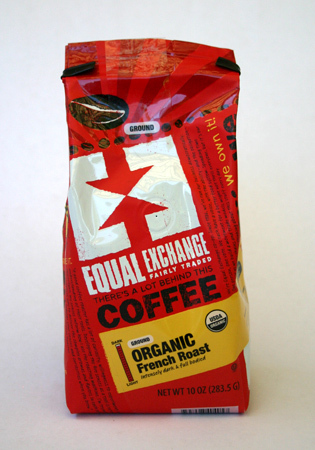 You can learn more about this Organic French Roast coffee at Equal Exchange.